Vandalia, Illinois is located along the banks of the Kaskaskia River. 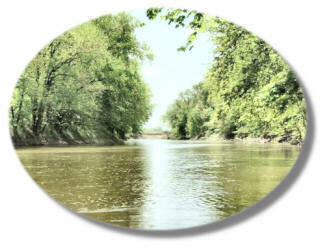 Named after Native American tribe that once lived in the area, the Kaskaskia is a large tributary of the Mississippi River stretching 292 miles flowing through southwestern Illinois agricultural country with a quiet winding stream offering fantastic fishing, boating and canoeing. A boat ramp is available just south of the Route. 51 Kaskaskia River Bridge.